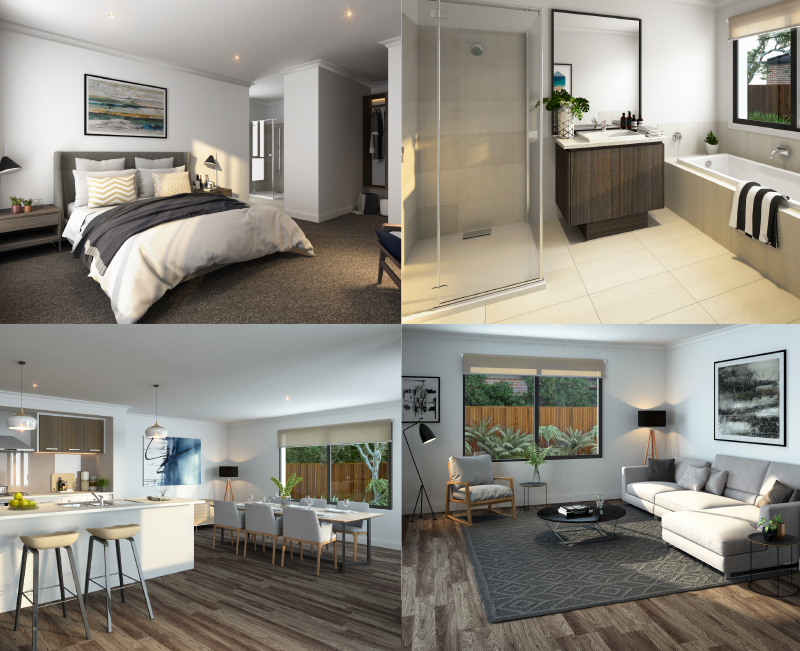 If you are just starting out, starting over or buying on a budget, you’ll find the perfect home with The Australian Building Co. Our single storey and double storey range of homes has been designed with the sole purpose of making your choice easier. Every home is engineered to ensure the best value money can buy. Designed to make buying your home a ordable whilst giving you the modern comfort and style that you love. 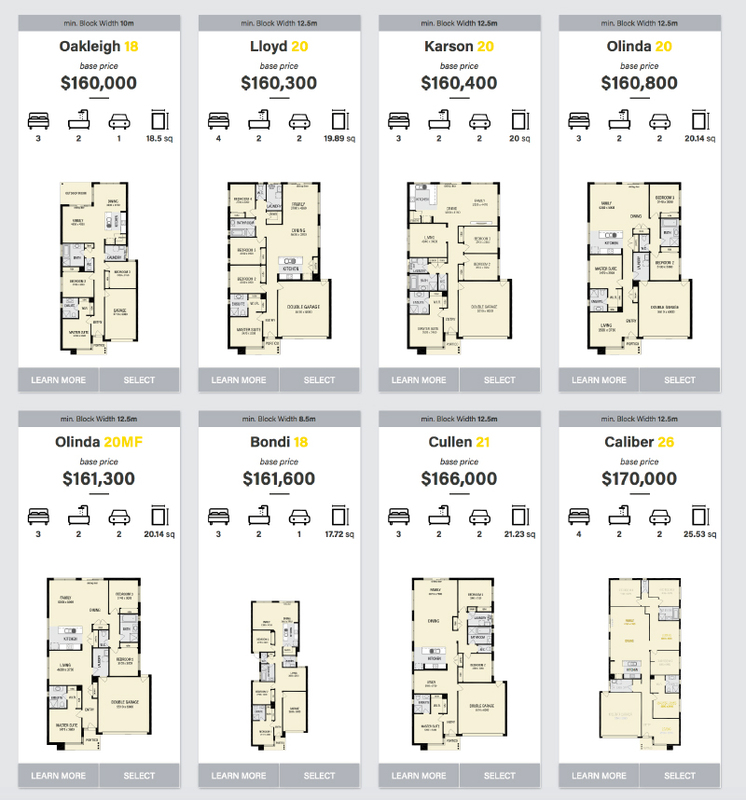 With over 40 homes designed to fit on all size block widths, our floor plan brochure makes it easy for you to compare floor plans and to find the home that’s perfect for you. Our single storey range of homes comes with a choice of six facades. The Lumi, Lange, Alfina, Urban, Vista and Cove facades give you the option of a more classic frontage to a contemporary aspect. With a variety of finishes including quintessential brick, rendering and timber highlights, your home will look as beautiful as it is functional. Our double storey range of homes is available with four facade options. The Aspect, Horizon, Outlook and Vue facades gives you the freedom to select the look that suits your lifestyle. This range of facades allows you to choose from a selection of finishes including brick, rendering and timber highlights, to ensure your home will look as beautiful as it is functional. Choosing the colour of each and every item in your home can be quite stressful. That’s why we’ve made choosing your colour selections easy. Our interior design team have created a range of stunning interior and exterior treatments exclusively for us. Select from a range of carefully co-ordinated colour schemes and finishes for your chosen home design to achieve a stunning designer finish. Then select the upgrade options that suit you and your unique style. 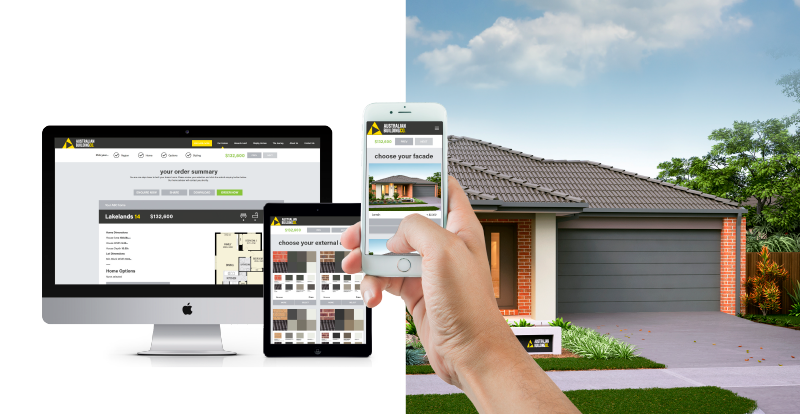 Simple and easy, the Australian Building Co. way! Hunter Colour Scheme. Image depicts items not supplied by Australian Building Company namely planter box and fencing. Landscaping pictured differs from available landscaping packages. Image includes upgrade items namely aluminium stacker sliding doors, blinds, overhead kitchen cupboards, downlights. Finding the right block of land for your new home is an important decision. There are a number of considerations to factor in when choosing the size and location of your block to ensure you can build the home design of your choice. Our dedicated team can help you find the right block to build the home of your dreams. Alternatively we have a wide range of home and land packages, available across Melbourne’s northern, south eastern and western regions. 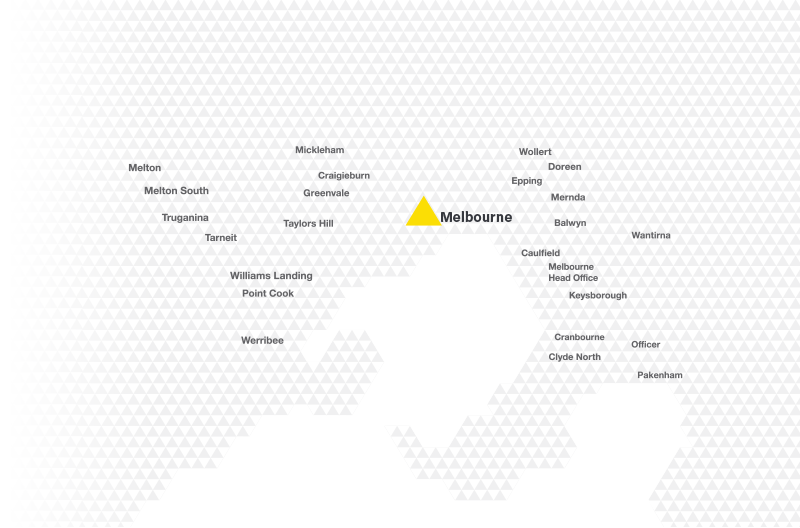 We have partnered with many of the leading land developers across Melbourne and Geelong to help you find your very own home. A revolutionary way to shop for your new home is here.